Prehistoric Puma Fossils with Pictures and Facts. 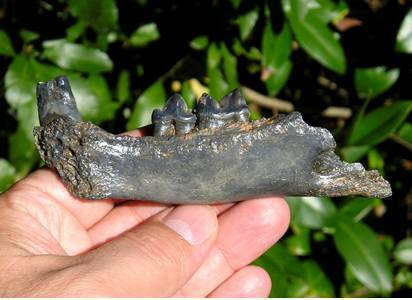 Puma fossils, of any kind, are very rare in the fossil record of Florida. They are the only Big Prehistoric Cat to survive from the Pleistocene Period, or Ice Age. The fossil facts show that they have not changed much, in the fossil record, since that time. The oldest fossil record of this prehistoric cat dates back about 400,000 years ago. 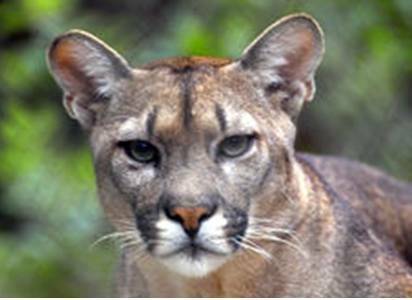 Even now, a subspecies (Puma concolor coryi) of this prehistoric mammal lives in Florida today, the Florida Panther. The former name Felis concolor means “cat of one color” and is one of the five conical-toothed felid lines in Florida during the Pliocene and Pleistocene Periods. 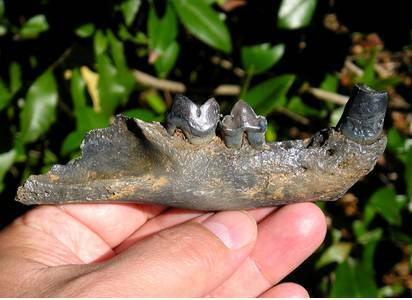 Its ancestor has yet to be discovered, but DNA evidence suggests its relative was in North America some 8 Million Years ago. These prehistoric creatures are large cats with powerful bodies. Large males can weigh 200lbs. (103 kg) with a length of 4.5 feet and a 3 foot tail. It is the second largest cat in the Americas, after the Jaguar, and it is the fourth heaviest cat in the world, after the Tiger, Lion, and Jaguar. Its head is smaller and rounder, than larger cats and may suggest an evolution from smaller cats. This Panther is capable of killing Elk and Moose. These big cats ate deer, peccary and other small mammals and can produce a penetrating strong bite. It buries its prey, after feeding, to eat at a later time. They usually prefer living in a wooded environment. In the wild, the males generally live 10 to 12 years. This Ancient Cat was broadly distributed, in the Americas, during the Pleistocene Period and today is relegated to Western North America, Central and South America. It is adaptive to many different environments operating independently and alone, most of the time.